Taiwan is perhaps one of the most underrated destinations. It is so close yet a lot of Pinoys have not visited this place. With the visa free access extended to Pinoys until next year, there are more reasons to check this island. Although there are now two cities for international access from Manila, most airlines land at the Taoyuan International Airport and for the majority, this is the entry point to tour the capital, Taipei. While most Filipinos make a whirlwind tour, cramming in attractions and activities as much as possible, this article presents a leisurely two nights, three days tour, taking in the sights within the capital and soaking in local food and culture. It’s a mix of old and new attractions without stressing you out going from one place to another. For the budget indicated, airfare is not included but takes into account expenses once you land at the airport, going to the city and back. Airfare, depending on the season, can be cheap or expensive. It’s better to subscribe to the different airline mailing list to keep abreast of promo fares. The cost indicated below are for two persons. 2) Check in at hotel, preferably just walking distance to Taipei Main Station or directly accessible via MRT. Although hotels in Taipei can be expensive, choices include hostels and capsule inns. For a two night stay, prices can start at PhP2,000. For a comfortable yet affordable two night option, allot P5,000. 3) Head to the Maokong Gondola for a scenic ride, roundtrip tickets cost P700. 5) From Zhinan station, alight at the Taipei Zoo South Station. The zoo is wonderful and has lots of interesting animals from around the world with the place divided into different zones. 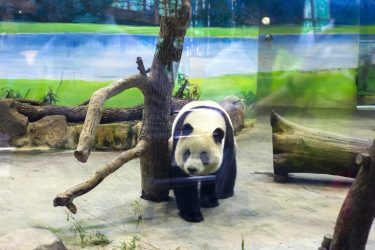 But the must-see and must-visit in Taipei Zoo is the panda at P200. 6) From Taipei Zoo, head to Songshan and visit the Ciyou Temple, one of the oldest in Taipei built in 1753. After your visit, you can head to the Raohe Night Market nearby, one of the oldest and popular night markets in the capital. Try the delicious pork pepper buns near the entrance, just follow the line of people. From there, you can try other food like grilled squid, fried dumplings, and the medicinal herbal pork bone soup for P1,500. 7) From Raohe Night Market, just walk to the Rainbow bridge which is just a few steps. It’s a popular place for locals who stroll or sit while admiring the area. The Rainbow Bridge is beautifully lit at night and totally free. 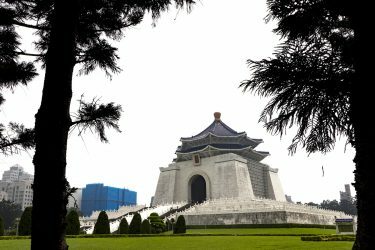 2) Head to Chiang Kai Shek Memorial Square. This is one of the most popular attractions in the city and a must visit. You can walk around the area, around its beautiful gardens, or observe the changing of the guards at the memorial hall for free. 3) Take the MRT to Longshan Station and visit perhaps one of the oldest and most popular temple in Taipei, the Longshan Temple. Built in 1738, it is dedicated to the goddess Guanyin. It’s free of cost. 4) Head to the Wanhua District, to Mala Hot Pot in Xining Road for lunch. 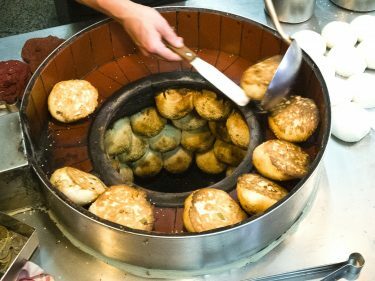 This is one of the most popular and affordable hot pot buffet places for locals and tourists alike. Service is fast and there’s unlimited drinks and dessert, including Haagen Dazs and Movenpick ice cream. Table reservation is recommended. Prepare at least P1,800. 5) From Longshan Temple, head to Zongshan MRT and visit the Miniatures Museum of Taipei. It’s an interesting private museum based from the collection of Mr. Lin Wen-ren and his wife. There are lovely miniature tableaus of historic buildings like Buckingham Palace, fantasy worlds, castles, fairy tales and setups that are very detailed. Entrance fee is at P500. 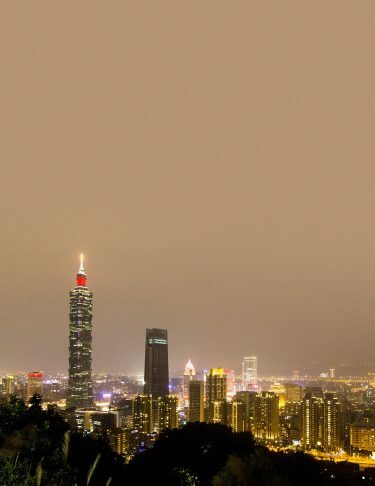 6) Get up close to Taipei 101 as you visit Taiwan’s most iconic structure. Head to the 89th floor using one of the world’s fastest elevators that bring you to the observation deck in 37 seconds. From up there, you can get a 360-degree view of Taipei. Explore or shop within the area too. Taipei 101 Observatory ticket costs P1,800. 7) After shopping, return to the hotel and gear up for a short hike up Elephant Mountain. At the top is one of the best places to see Taipei 101 and its surroundings from sunset till early evening, as the city starts to light up. It’s totally free. 8) Head to Ximending to shop, eat and have drinks. The place is a huge shopping area and is considered a trendy place. From fashion, shoes to bags, from quirky restos like Modern Toilet and traditional beef noodle soup, from interesting independent brands and bars at and near the Red House to street performances. That’s only P2,200. 3) More shopping/ eating at in or around Taipei Main Station before heading to airport. You’ll feel full for only P1,500.